So. I was looking on Pinterest at all the summer fun ideas I pinned weeks ago. There are tons of lists like "100 Free Things to Do This Summer", etc. When I actually started reading the lists, it made me sad. There were SO many things on there that Sweetheart has just flat outgrown. Gone are the fun days we had several years ago with our Summer Theme-A-Weeks. Pirate Little Bit, age 4. Sniff. Sweetheart, age 8, after our Pirate treasure hunt. Sniff. 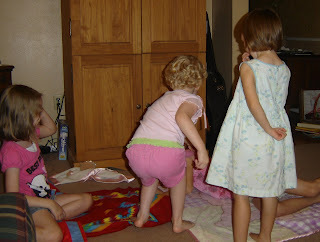 The girls with their cousins acting out Goldilocks and the 3 Bears. Sniff. Sniff. and I vividly remember saying to Sister, "You know, when the little girls are the age of the big girls (8), the big girls will be 12 and they won't want to do stuff like this anymore." But instead of sitting around being very sad, I thought and thought about how to redeem the summer. There MUST be something fun that a 12 year old and an 8 year old can do together. I mean, the 8 year old deserves to have fun. It's not her fault she has a fuddy-duddy older sister! (Just kidding. Sweetheart actually still plays a lot. But she isn't "little" anymore and I have to respect that too.) And it's not their fault there is a newborn in the house keeping us from doing a lot of running around town. I knew they would both enjoy art projects and I even thought of a way to make it a "theme" for Little Bit. Who is, after all, only 8. Let's say I chose "ballerinas" as the theme. Well, we do ballerina art projects (which Sweetheart could also do), check out some books about ballerinas, an Angelina Ballerina video, and make a tutu for her dolls. There. A theme for the 8 year old. And the 12 year old could participate in the art and anything else she felt like participating in. I know I have a newborn in the house so I'm not sure how much of the theme business will happen, but what I'm saying is...it's doable. So in my research on Pinterest, I stumbled on a great art site. From there, I began to learn about something called "art journals." Honestly, I had never heard of these. Hmm. A way to do art projects AND keep them contained within a journal instead of littering my fridge, spilling off the kitchen counters, or stacking up on the girls' dressers? Sounds like a winner to me! The site kept referring to "Strathmore Art Journals." I didn't know what that meant exactly but then at Hobby Lobby, I figured it out. Oh! It's a brand name for these art books! This is the one I chose. They are pretty big. So yesterday I had the girls take inventory of the art cabinet. We have enough stuff to get started. The only initial investment was these journals, which were $13 each (with my 40% off coupon!). First I had them decorate inside the front cover. Then we started our first project. Directions are here. Cutting out the sunglasses (from images on the computer). We just used pencil, Sharpie, and crayons. Nothing fancy. The caption says, "I love summer." I had just finished telling them "you can't mess up on art journals" so I let the lowercase "i" go. Love these self-portraits. Can't wait to do more projects! The site we got this idea from has tons of art journal ideas, but there are others online too. That site is just very kid-friendly. Once you really start looking at all of them, you will come up with ideas of your own. The fun part is using all kinds of media. Apparently your art journal will be very thick at the end and may not close well. Not every project will be flat. So that's my plan. Lots and lots of art! I know there will be days when we are busy running errands, and swimming, and cleaning house. But there are plenty of other days when there is nothing on Netflix to watch, and it's raining or terribly hot, and our art journals will be just the ticket to fun! My kids all love art. Have you thought of a tea party? My girls are twins 13, a 12 year old and a 10 year old and they still love it. Pick some easy recipes like scones and whipped cream. They can even make the whipped cream from heavy whipping cream. 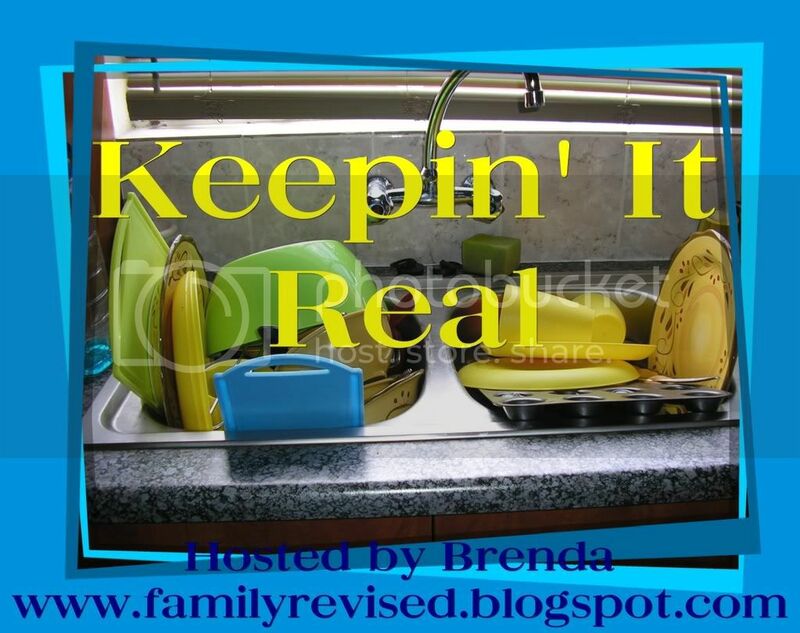 I'm sure there are lots of ideas for dishes on the net and it doesn't have to cost a lot. Let them dress up and decorate the table and invite a few friends. Fun stuff. Well, as I'm typing this the girls are having a sleepover in the younger one's room. They planned it, packed, etc. They really get along SO well. I know they'll have fun this summer, but I still like to do something "planned" with them! Ooohh. I love it. We'll be doing this! Thanks for the idea:). Love it! We are going to try nature journals this summer along with the outdoor hour challenges from this site: http://handbookofnaturestudy.blogspot.com/2008/02/green-hour-challenge-1-lets-get-started.html, but we might have to try the art journals as well! Thanks for the great idea! I picked up 2 journals for my 7 year old son and 12 year old daughter yesterday. I love that it's inexpensive and creativity can flow freely! What a fun idea for your girls! We are at the awkward transitional ages too, but my boys don't like art. (They are really missing out, aren't they?) I wonder if I can get them more interested in cooking? Tuesday is as Good a Day as Any, Don't You Think?